Sometimes when it rains it pours, which has been my misfortune with the boat this last month. After dealing with an engine overheat 30 miles off-shore, water in the fuel and fueling issues due to a faulty design of the fuel venting system, my steering recently failed two weeks later with a blown hole in a hydraulic line just near the steering cylinder. The cause, improper installation of the hydraulic hoses to the steering cylinder when I took possession of the boat two years ago. After talking with the manufacture of the steering system (Lecomble & Schmitt) and sending them pictures, they determine the hoses we’re not properly installed, causing one hose to clip and rub on the other hose connection nut to the cylinder, which ultimately tore a hole in the hose. 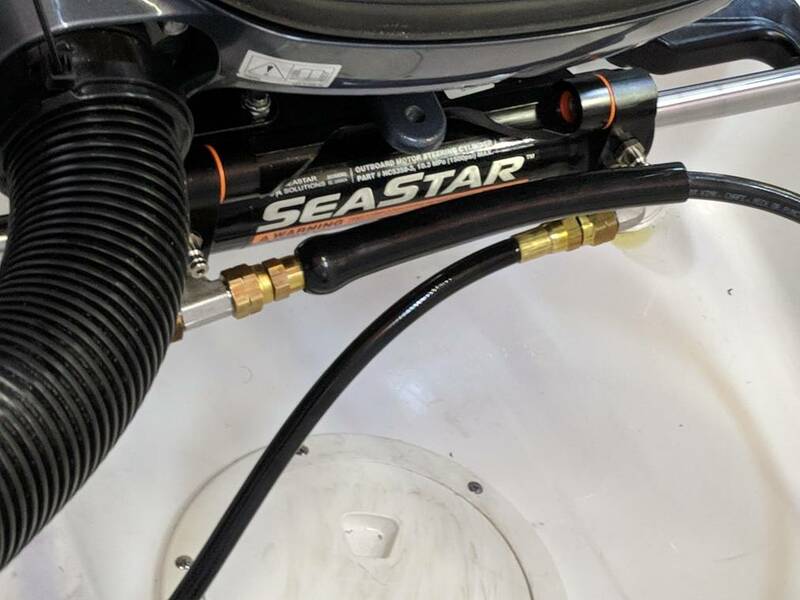 As you can imagine, failure of the hydraulic steering can lead to a very bad situation, so check your setup and ensure the same is not happening on your boat. Hi dogbreath, Sundance fixed the fuel vent problem by adding a siphon loop where the vent hose connects to the p-trap. I don’t believe Attwood has released the new p-trap yet. 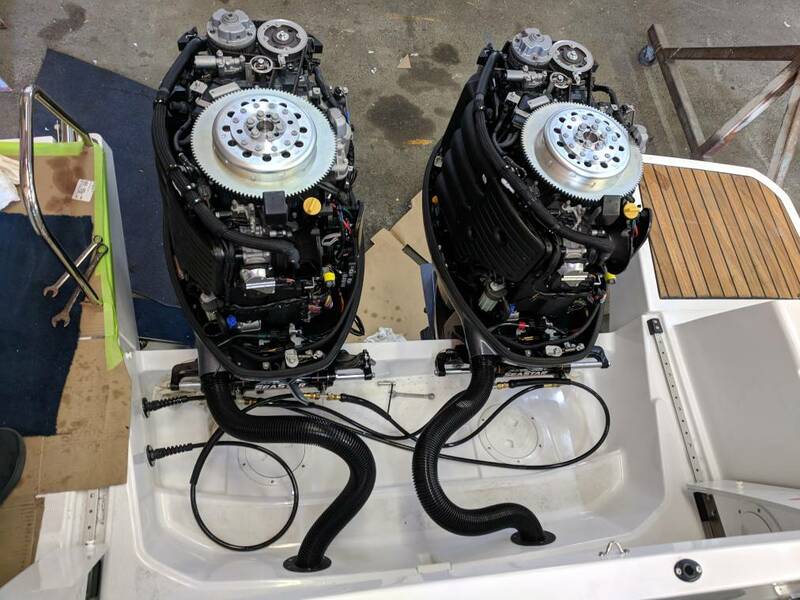 I encourage all owners with fuel vents on the side of the hull (new 895’s shouldn’t be an issue) to contact the dealer to have them add the siphon loop. I’m working with a Sundance now on getting the hydraulic hose issue repaired. Unfortunately, these hoses are custom made and come from Jeanneau so I don’t know how long this will take. It will be interesting to see how they configure it to avoid this from happening again. This is what the the tech from the Steering manufacture L&S said. We are currently having our engines installed at Sundance Blaine. I went down to see how things are progressing today. It looks like they are using completely different and shielded hoses. Folks, This is Capt Gary. We had the same problem. The hydrolic hose got a hole in it. Fortunately we were in a marina and after 3 days got it fixed. I think the problem is when the Starboard engine comes all the way up it pinches the hydrolic hose. So now when I bring this engine up I don't come all the way up. Since doing that I have not seen any wear on the hoses.